Editors Note: Zoom in on the right kind of audience by signing up for our Facebook Ads Setup Plan today! 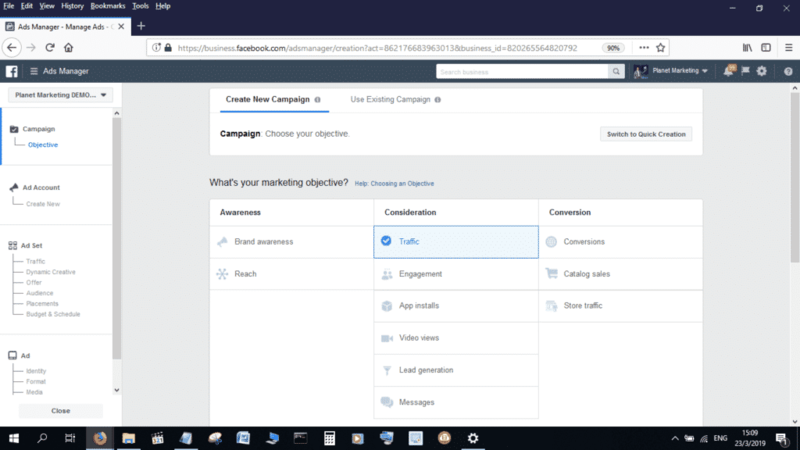 Show you how you can create your own Facebook Ads. Tell you about the Planet Marketing DIY Facebook ads marketing course. Is Facebook Marketing for Photographers and Videographers? Should photographers bother advertising on Facebook? With so many people using the world’s biggest social networking site, very few businesses will have difficult finding their audiences on Facebook. Advertising on Facebook is cheaper than on other platforms, such as “Google Ads.” You can get going on Facebook for as little as $10! Facebook ads have a high conversion rate. That’s because the platform has a number of tools that make it easy for you to define, refine and target your audience. Anyone can learn how to create Facebook Ads. If you need help, read this article and also check out our DIY Facebook ads marketing course. The process of creating Facebook ads is, overall, more or less the same for every business. However, there are a number of differences that make it necessary to have everything planned before setting out on your campaign. Just remember that though more affordable than many of the other advertising channels that are out there, placing your ads on Facebook is still going to cost you money, making it imperative for you to have your goals properly laid out before beginning. So, which of these Facebook Ads Objectives would work best when creating Facebook Ads for Videographers and Photographers? Well, the thing to note here is that no single objective is going to be prescribed for any Facebook marketing campaign. That’s because each ad that you create is going to be different, depending on whatever it is that you wish to achieve. If, as an example, you would like to raise Brand Awareness, then that is the ad Campaign Objective that you should go with. If, on the other hand, you would like to get people to get in touch with you, then Messages would be the best Campaign Objective for you. 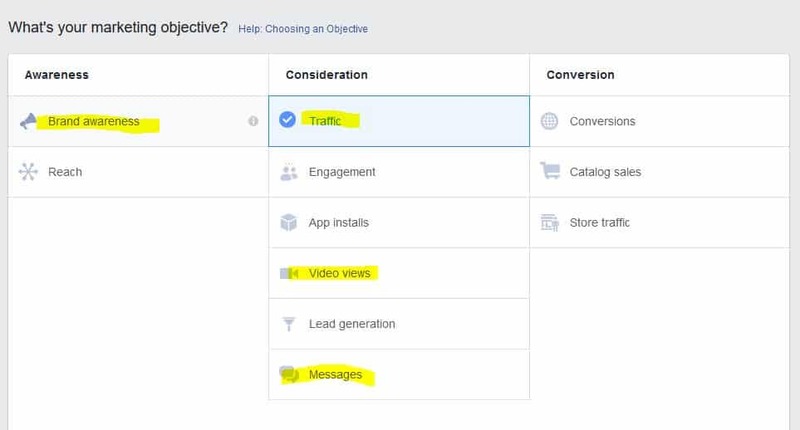 Those that are looking to have people directed to a landing page can choose “Traffic,” as their Facebook Ad Objective. This is a very important step whenever one is creating Facebook ads for any business. Facebook is, as we have already noted, really big. It’s your task, therefore, when creating Facebook ads for photographers and videographers to make sure that your ads are delivered only to people who have an interest in whatever it is that you have on offer. Properly defining your target audience gives your Facebook ads a higher conversion rate. In Facebook Ads Manager, you get a number of tools that enable you to define your target audience. The location setting is the first of these tools. One of the things that we need to get out of the way here is the fact that every business is going to be unique, as far as the extent of the Geographic location to which it operates is concerned. A bar, as an example, can only get customers from a certain distance around the neighborhood, whereas a travel agency can have operations that are global in nature. Photographers and Videographers tend to have operations that are limited to the suburbs in which they are located, though it’s entirely possible for them to get customers from further out, depending on their popularity. The age setting allows you to restrict delivery of your Facebook Ads to only people who fall within a particular age range. Ads for alcoholic products, as an example, should, in the United States, have their age ranges restricted to people who are over 21 years old. Photographers and Videographers would probably do well to have their ads targeted at people who are over 20. It’s hard to see many people below this age looking for the services that they have to offer. The gender setting can be useful if you offer products or services that are gender specific. The language setting can be useful if you want to have your ads delivered only to people who speak a particular language. For example, you may be creating an ad that is only targeted at Spanish speakers. Women who have shown an interest in Baby showers. This article only touches on the surface as far as creating Facebook Ads is concerned. If you need to go into detail, check out our DIY Facebook Ads marketing court. The course contains a number of videos that are designed to take you along the way as you create your Facebook Ads. Need Help Getting More Sales? Fill Out the Contact Form Below.